Should have these sweet new shirts back from the printers next week. Super excited to see how they turn out! 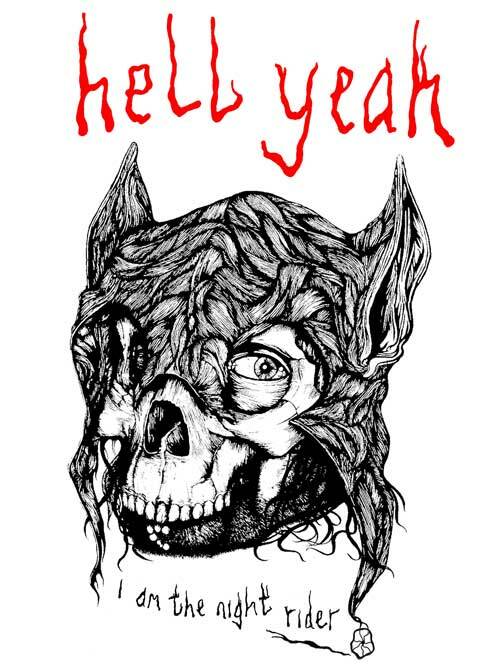 The wolf man skull lycan mask was drawn by Ian Watson. He is ace. Go check his blog here! Head over to the Hell Yeah store to check out the other stuff I have on sale or take a peek next week when these drop. Ah, thats a real bummer… Btw, can you recommend any good bike shops in London? Leaving next weekend for some fun, and i will also be looking for a new bike !